Balls of Steel: Creature Attack! 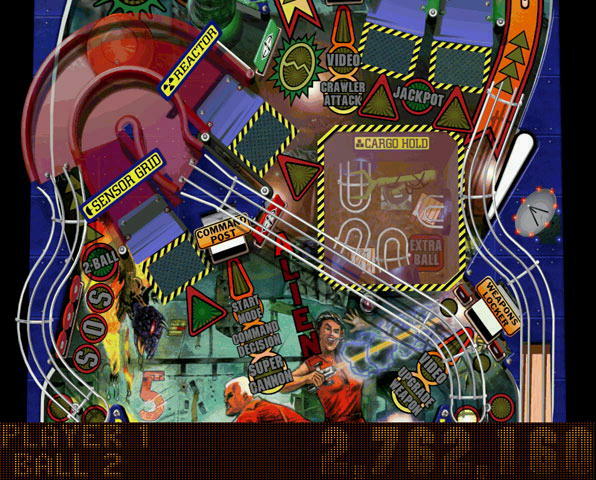 is pinball action at its very best, and you can't beat the value of getting two full pinball tables means twice the fun! See! top secret experiments go horribly wrong. Fight! strange alien attackers. Launch! an exciting assault on your senses in two thrilling pinball games in one amazing package. 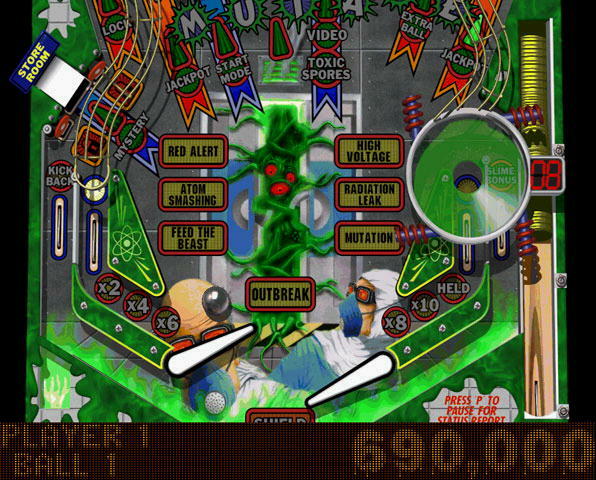 Whether you choose to battle genetic mutations or outer world invaders, incredible graphics and breath-taking action bring all the excitement of pinball to your desktop. What cool stuff do I get to do? Splat the toxic spores for big bonus points. Fire around the accelerator loop then smash the captive ball. Feed the beast for 3-ball multiball. Squish the bugs in the Crawler Attack 2-ball! Flip your way through more than 30 exciting missions. Two balls are better than one! Use the duplicator to start the 2-ball! Test your reflexes in the dotpanel video games. Lock balls in the slurping, sucking egg tube for 3-ball, Lock and load the Super Cannon to blast those aliens to oblivion!